KUMU HINA tells the inspiring story of Hina Wong-Kalu, a transgender native Hawaiian teacher, or kumu, who brings to life Hawa‘i's traditional embrace of māhū - those who embody both male and female spirit. 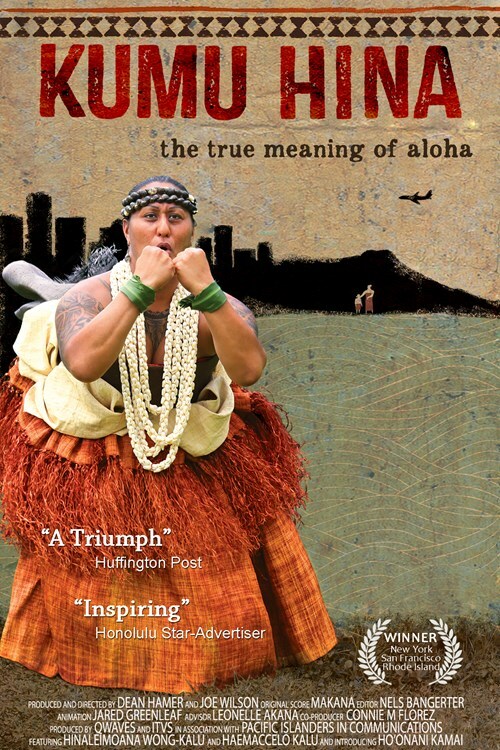 Produced by Emmy-winning directors Dean Hamer and Joe Wilson in association with Pacific Islanders in Communications, the film traces Hina's evolution from Collin Wong, a timid high school boy, to her present position as a married woman and cultural director of a school in one of Honolulu's grittier neighborhoods. When Ho‘onani, a charismatic 6th grade girl, asks to join the school's all-male hula troupe, Kumu Hina gives her the opportunity to express her inner male spirit. As teacher and student prepare for a climactic end-of-year public performance, they meet many obstacles, but hold fast to the idea that being true to oneself matters most. KUMU HINA - a new film by Emmy Award-winning producers Dean Hamer & Joe Wilson of Qwaves, in assoc. with Pacific Islanders in Communications & ITVS. Dean Hamer is an Emmy Award winning filmmaker and New York Times Book of the Year author with a long history in communicating complex and controversial ideas to diverse publics. He formed Qwaves with partner Joe Wilson to produce insightful and provocative documentaries about often overlooked social issues. Their films have been supported by Sundance, ITVS and Pacific Islanders in Communications, won awards at over 100 film festivals across the world, and used as outreach and educational tools by a wide range of community and educational organizations. ! OUT IN THE SILENCE, the first feature film from Qwaves, premiered at the Human Rights Watch International Film festival at Lincoln Center to great critical acclaim. With support from Sundance and PBS, it became a highly visible model for the use of film for social activism with wide distribution through public television, multiple digital portals, and over 700 community screenings. ! In addition to his film work, Hamer is the author of several best selling nonfiction books including The Science of Desire and The God Gene, a consultant for the BBC and Discovery channels, and a sought-after lecturer and frequent guest on TV documentaries and news shows including Nightline and Oprah. In 2011 he moved to the north shore of O’ahu, Hawai'i, to work on KUMU HINA. Joe Wilson got involved in documentary filmmaking through his professional work and social activism on human rights issues. Frustrated by the limitations of traditional organizing and advocacy, he picked up a camera with hopes of reaching broader audiences with stories that would inform and compel people to act. OTROS AMORES, his debut film, won the Videomaker National Documentary Film Challenge. Together with Qwaves co-founder Dean Hamer, his films on controversial and often ignored human rights issues have won jury and audience awards and official selection at more than 100 film festivals around the country and the world, and received widespread attention for their role in promoting social change. ! In 2004, Wilson returned to his small hometown of Oil City, Pennsylvania, to direct and produce the Emmy Award-winning PBS documentary OUT IN THE SILENCE. Through more than 700 grassroots screenings across the country, this film has become part of a national movement to open dialogue, counter school bullying, and support fairness and equality for all in small towns and rural communities. ! 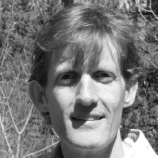 Wilson is a frequent speaker at colleges and conferences about justice and film activism. He lives with his partner Dean Hamer on the north shore of O’ahu, Hawai’i. !! Co-presented by the Boston LGBT Film Festival (www.bostonlgbtfilmfest.net) and the Massachusetts Transgender Politic Coalition (MTPC) (www.masstpc.org).